Hamburg isn’t only the most beautiful city in the world, but also a big stronghold when it comes to power metal and is well known since the nineteen eighties. Also every fan of hard, melodic music should be familiar with the band of guitarist and singer Piet Sielck, IRON SAVIOR who are a known quantity in the metal game. The Band has been continuously releasing albums since its founding in 1996. 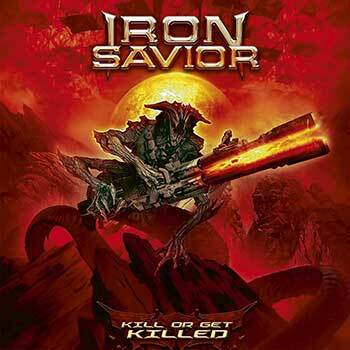 With twelve albums, several chart entries like “Titancraft” (2016) and nearly 4 million streams for their hymn “Heavy Metal Never Dies”, it is clear that IRON SAVIOR are on the right track with their classic and thrilling metal sound.